One Friday evening an Aurukun family decides to go out camping for the weekend - and what an adventure it turns out to be! Everyone, from Granny and Grandad to the youngest babies, drives out into the bush to hunt wild pigs, and that night there is a wonderful feast of roast meat, wild honey and damper. 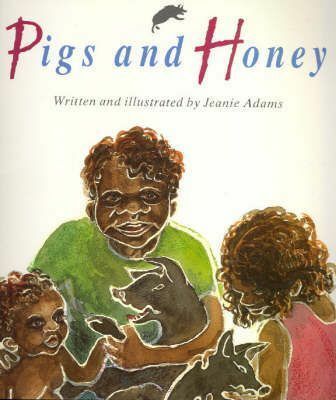 Jeanie Adams' first book catches all the colour and detail of life in an Aboriginal community on Cape York Peninsula in Far North Queensland.